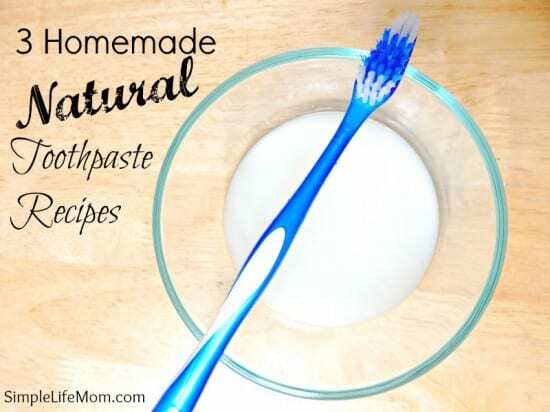 A number of you have asked about homemade natural toothpaste over the past few months. I’m happy to share with you what we use and love. I used to use Tom’s of Maine thinking that the ingredients were natural and better, that it was worth the extra cost. After further investigation, I no longer think there is enough of a difference to justify the cost. Now, there are better and worse ingredients, but it’s not like one brand is great and the other is horrible. There’s not that much of a difference. So, we decided to make our own. It’s not difficult at all. It costs very little, and it works. Win Win! 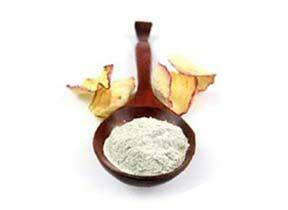 Baking soda whitens and neutralizes the acids that cause dental caries. Adding essential oils also helps to cleanse and make the toothpaste taste great. Hydrogen Peroxide creates a chemical reaction in your mouth helping to loosen bacteria and help cleanse. Bentonite Clay is negatively ionically charged; meaning that it attracts positively charged bacteria and toxins to be rinsed away. I do not like to use salt, as I see it as too abrasive. I also do not use glycerin, because there is discussion that glycerin may block your teeth from re-mineralizing. Until I learn more, I don’t use it. With each of these recipes, add more coconut oil to make it thinner, more baking soda to make it thicker, according to your preference. I like to make mine thin-ish so I can drizzle it with a spoon over my toothpaste (no contact, keeping it sterile). Warm coconut oil so that it melts (above 76 degrees F.). Combine all ingredients in a small dish, or syringe such as This One and use like your usual toothpaste. Combine all ingredients in a small dark dish (to preserve the hydrogen peroxide), or a syringe such as This One and use like your usual toothpaste. Combine coconut oil and clay. Add water slowly until you get the consistency that you want. Place in a small dish, or us a syringe such as This One and use like your usual toothpaste. I am obviously not a dentist, so do your own research please. 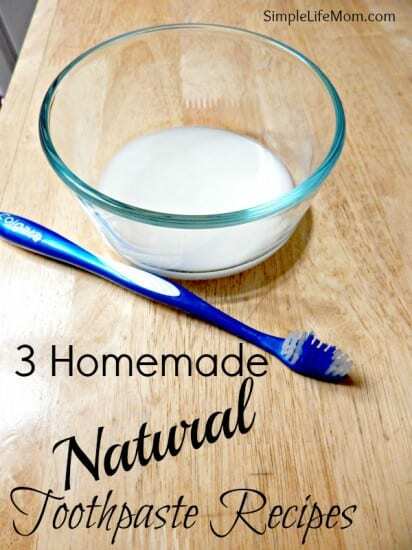 I’ve been looking for a simple toothpaste recipe. These look great. These recipes sound great, thanks so much. How does one keep toothbrushes clean though as I can imagine coconut oil could make it quite greasy? We just run ours under hot water when we are done (not really any more than normal) and they stay clean. I’m definitely going to try these! I’d much rather make my own than buy the chemical-ladden options at the drugstore. Thank you for sharing these recipes! May I ask which is your favourite? I use the first recipe and love it, but I should try the clay some time too. I need to remineralize my teeth. But I really do love the coconut oil and baking soda, my teeth have definitely gotten better and whiter using it. I have made the clay toothpaste, and love it! I did add about 2 TBSP of xylitol, though. I can’t STAND the taste of baking soda: it makes me gag, so I added the xylitol to help mask the taste of it, PLUS there is so much online about how GOOD xylitol is for teeth! It made the baking soda fade to the background and I feel that I’m really helping my teeth stay healthy. Thank you for these recipes! This now tastes almost like my fav store bought toothpaste. Thank you for these recipes. It is difficult to find a toothpaste from shop that does not have Sodium lauryl sulfate. I am sensitive to this substance. What do you think about adding carbon to toothpaste? You can add activated charcoal, definitely! It’s a great cleanser and whitener.